A few days after my brother killed himself, I went to the apartment he had shared with his wife and two-year-old daughter. I was attempting to help his widow, who was also one of my closest girlfriends, pack up the apartment. She was moving back home with her mother. I was moving through my own days as if I were walking through black ooze. Emotions of hurricane strength made my experience of life feel one dimensional, as if part of me, the thinking part, had died along with my brother. All I could do is “feel.” I couldn’t respond to the questions of others. I stared at them and quietly wondered what it was they expected from me. The only sounds I seemed to be able to make were sounds of groaning or weeping. My eyes seemed to have lost their ability to see colors. The view from where I sat was dark and made up of varying shades of grey. I walked into my brother’s closet and spotted a pair of man’s brown wool socks lying on the floor. They were my brother’s socks. I picked them up and brought them up to my nose. My brother! The smell of my brother when he was alive! Desperately, I wondered how could I hold on to that pungent smell of dirty socks. Longing sat like a weight on my chest. My sister-in-law gently pried my fingers loose and threw the socks in a sack. I helped to plan his memorial service carefully. I bought a long blue dress with pictures of angels all over it. I hoped there were angels there, wherever he was. I asked a minister my brother and I knew to perform the service, and I picked out my brother’s favorite music, “Time in a Bottle,” by Jim Croce, and “So Sad,” by Alvin Lee and Mylon LeFevre. That last song tore me to shreds. I had played it for my brother many times, and now wondered if this helped to fuel his desire for death. One by one, the small group of people entered the borrowed church. The music played, the minister spoke. A few people stood to pay tribute. Too soon, it seemed to me, the service was ending and the last friend of my brother’s had stood to talk about what his friendship had meant to him. No one else had anything to say, so the minister dismissed the small band of mourners. As everyone filed out, all I could think was, “it can’t be over! !” I screamed, and fell against the person sitting next to me. Everyone hurried out, including my parents, leaving only the minister to try to deal with my hysteria. 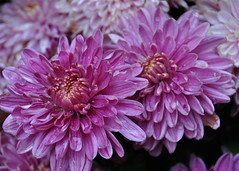 He handed me a pot of mums that someone had brought to the service and patted my back, helpless to know how to help me. A couple of days later, I took those potted mums and brought them to the Parks and Recreation Department in the small suburb of Los Angeles where we lived. “Can you plant these in one of the parks?” I asked. “They are from my brother’s funeral. He died a week ago.” I sensed his compassion for the broken, sorrow-filled young woman standing before him; he took the mums I held out to him. “Sure,” he said. A week later I tried to find them. I drove to every park in town. I pictured them languishing in the back of the landscaper’s pick-up truck and my heart broke for those mums, experiencing death all alone. A second death in two weeks. My brother dying all over again. The next day I went with his widow and my boyfriend up to the hills of Malibu, California. We took a shovel, his ashes, and a packet of “Forget Me Not” seeds. It was sunny and warm near the beach that day. I felt angry at the sun and felt the day should be shrouded in fog. We buried him there in the hard, dry ground, and scratched the dirt enough to cover the seeds. I would not know how to find that spot today, and I later regretted I did not make a map. I cried for my brother every morning as soon as I woke up for two straight years. I cried out to God during those dark, lonely days as well. When my father killed himself three years later, I knew the drill. But eventually, step-by-step, day-by-day, I healed. The colors of life not only returned, they became brighter than they had ever been. A lot has happened since then. It’s a pretty amazing, hope-filled story that continues to take twists and turns to this day. I hope you’ll continue on with me as I weave this multi-colored tapestry. People are amazed when they read about some of the things that happened, and frankly, I’m always surprised at that. To me it just seems like “my life.” I’m too busy just living it to stop and be amazed. And yet a part of me understands their reactions, and that’s why I’m writing this story. Please post any comments or ask any questions you would like.